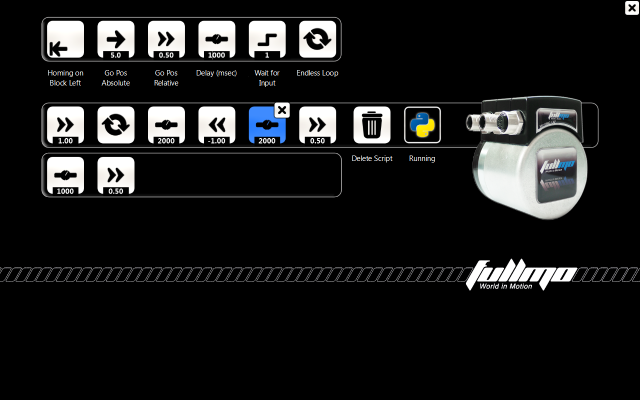 A full screen app made with fullmo Kickdrive. You can download it and see how this looks. DriveScriptPlayground is a demo for the fullmo MovingCap drive family with built-in Python script interpreter. The demo allows programming the drive with simple tasks like "go position" or "wait for I/O" by simple drag & drop of function icons.